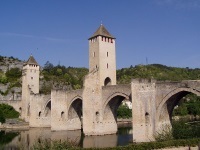 Things to see and do in Dordogne and Lot revolve mainly around the areas many lovely and historic villages. The medieval towns of Cohors, Conques and Montauban are remarkable and the stone villages of Domme and La Roque Gageac will captivate all who set foot in them. The most spectacular, however, is Rocamadour, which has been a pilgrimage site since the 8th century and has possibly the most breathtaking setting of any town in Europe. This cliffside town is fascinating and is one of the region's greatest treasures. Visitors can easily do a tour of Dordogne and Lot centred only on chateaux as there are so many exciting castles scattered about. Some of the best are the Chateau de Castelnaud, which houses a wonderful museum of medieval warfare; the Chateau de Commarque, a ruined 12th-century chateau with caves containing evidence of prehistoric man; and the Chateau de Beynac, a very impressive castle perched above the restored medieval town of Beynac and commanding beautiful views over the river. The Chateau de Marqueyssac pales in comparison to these fortresses but it has gorgeous gardens and cliffside walks which makes it popular. Dordogne is one of the richest areas in the world in terms of ancient sites and evidence of prehistoric man. 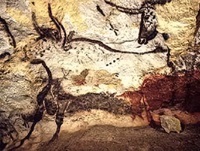 The famous painted caves of Lascaux are regrettably no longer open to the public but there are equally impressive sites to explore, including the incredible Cave of Font-de-Gaume which is a UNESCO World Heritage Site.